Every Saturday, 8.00am to 3.00pm: A don’t miss for locals and visitors alike, Limerick’s celebrated Milk Market, the best of fresh, natural produce. Here you’ll discover the very best of fresh, natural produce from great farmhouse cheeses and chutneys, just-caught fish and artisan meats, organic fruit & vegetables, to delicious healthy breads and fresh pressed juices. You’ll also be able to snack on gourmet sandwiches, wraps, pastries, chocolates, delicious crepes, soups and freshly brewed teas & coffees or buy fresh flowers and vibrant plants. Relax! Along with almost 50 stalls and 21 shop units to tempt even the most discerning shopper, the Famous Milk Market also allows the visitor to relax, enjoy and observe the activities of this celebrated market from the vantage of the Mezzanine floor which is located above the Pavilion shops and accessible by stairs and lift. 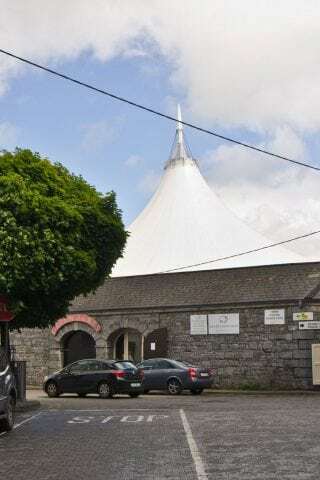 Of course, you cannot but notice that the Milk Market venue is now weatherproofed, as it is housed under the cover of Ireland’s largest single column support canopy.